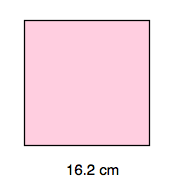 Find the perimeter of the square in the figure. top + right side + bottom + left side = perimeter. A sqaure has sides measuring inches. 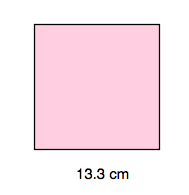 What is this square's perimeter? The perimeter of a shape is the distance around the outside boundry of that shape. In order to find the perimeter, add up the lengths of the sides of that shape. Because the sides of a square all have the same length, add . Equivalently, multiply the side length by the number of sides: . Because perimeter measures length, the unit of the answer should be inches, not inches2. 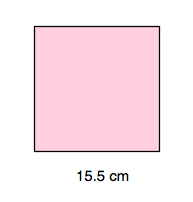 What is the area of a square with perimeter 64 inches? The area of the square is 81. What is the sum of the lengths of three sides of the square? A square that has an area of 81 has sides that are the square root of 81 (side2 = area for a square). Thus each of the four sides is 9. The sum of three of these sides is . 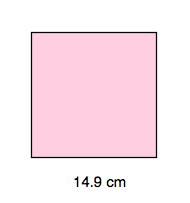 What is the total area of the surface of the cube shown in the above diagram?